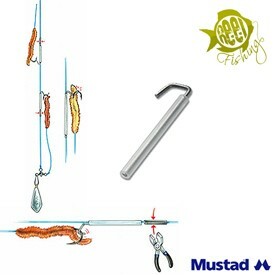 The Mustad range of see fishing rig components enables you to make all your favourite boat, rock and surfcasting rigs to your very own design. Combined with Mustad hooks and lines, you can construct rigs to fish in any condition with confidence. FREE Delivery on all Mustad Clips/Links/Swivels over £100!! !